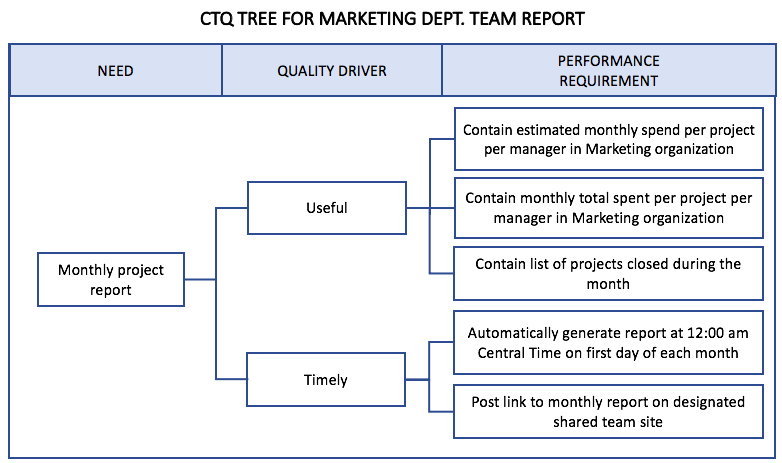 The CTQ Tree is a simple tool to tell you exactly what your customer wants. Here’s how to use it. Have you ever asked a client or customer what they want, and when you deliver it, they tell you it still doesn’t meet their need? Or pulled together a focus group to help improve a product, but got vague responses on how to make it better? You thought you knew what the customers wanted, but they had something completely different in mind. Or maybe you don’t know what they want after all, despite your efforts. The Critical to Quality Tree is the tool you need to get specific details on exatly what your customer wants. When you’re gathering requirements and the customer uses words like “quality” or “fast” or “easy,” you may think you know what they mean. But these words are vague and subjective. If you’ve pulled together a focus group to find out how to improve a process, take the extra step to understand the feedback your customer is giving. If it’s vital you know exactly how to satisfy those needs, the CTQ Tree is a perfect tool. The CTQ tree takes a general request or requirement to a deeper level. It enables you to understand what the customer wants. Then you can have conversations about those needs at a very specific level. It takes the guesswork out of what the customer means when they ask for something that may not be clear. 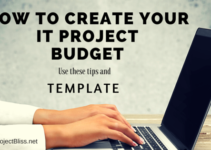 You can also use the CTQ Tree to identify the components that you’ll measure and track against as you move forward implementing your project or change. You can track these as success metrics. 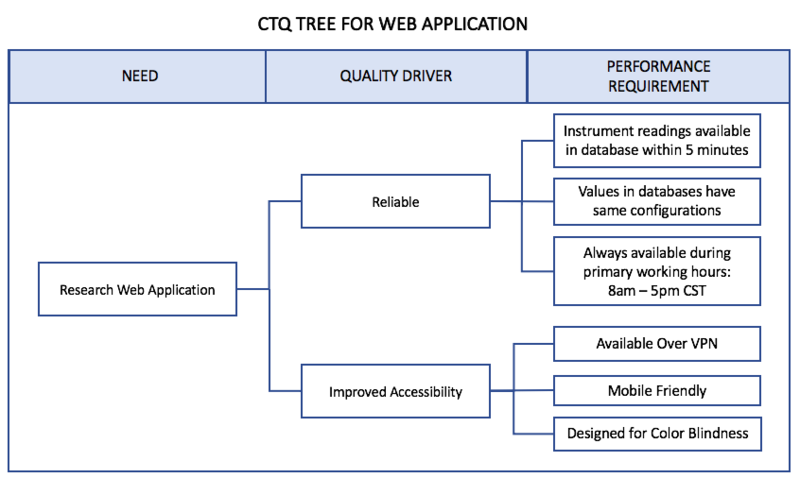 What is a CTQ Tree? 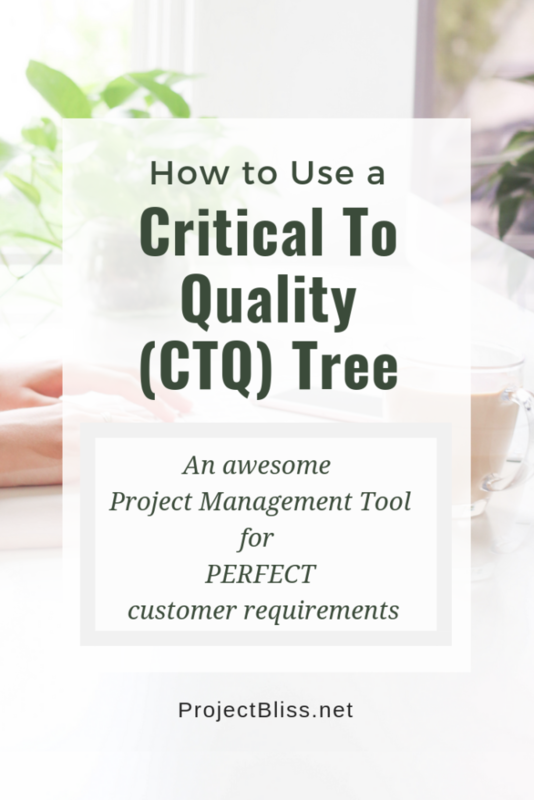 The CTQ tree is a tool that helps your customer or user think through a requirement to get more specific. It lets you work from the exact words your user is giving you, and break them down to more specific criteria. For example, if you’re talking to your user about a report she needs, she might say it’s important that the report is useful and timely. You can’t deliver the report that’s useful and timely unless you know what that means to her. So you ask her to explain what “useful” means, and you break that down so you can make the report useful. 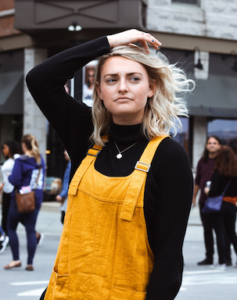 She’ll tell you exactly what requirements the report needs to meet to be useful to her team. Then you ask what “timely” means to her, and have her tell you so you can document those specific criteria. These components define the quality you’re working toward. These components are critical to the quality of your solution. Hence the name Critical to Quality. The goal of the CTQ Tree is to break the requirements down into components that can be measured. The CTQ Tree has three components to make sure you get a useful level of detail. Need: What does your customer need? What does your product or service have to do or give them? Driver: What qualities are important regarding the customer need? What’s important to the customer to satisfy their needs? The customer or client will have demands about the need that they’ll judge the product on. When the customer is satisfying the need, what’s important to them? 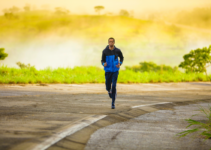 Requirement: From the need and driver, determine measurable performance standards. You’ve got to have a way to concretely say if you’ve met the need. Get very specific about exactly what that means so you know if you’ve met the need. In the example above, we learned that the reports should be Useful and Timely. In order to be sure we create reports that are both useful and timely according to their standards, we need to know what that means to them. Here’s what the CTQ Tree might look like when we ask them to define those requirements. Now we know they want a simple report with only a few data points. The team can easily provide this. Now let’s apply this layout to the example of creating a web application for a research project. The CTQ Tree is a simple tool that is flexible enough to use in different settings. Because I’m a project nerd, I use this tool at home, too. In the past when I’ve asked my daughter to clean her room, the outcome often hasn’t met my requirements. So using a CRT Tree ensures the requirements are clear to all. “Clean room” can mean different things to a parent and a kid. See how easy that is! If you’ve got kids, give this a try at home. Even if you don’t pull out the chart, you can still use the format in your conversation. CTQ Tree is a simple tool. It’s flexible. By using it you get the detail you need to succeed. In addition, it shows your customer that you’re listening and want to understand what they need. Leigh Espy is a project manager and coach with experience working in startups, government, and the corporate world.She works with project managers who want to improve their skills and grow in their career, and entrepreneurs and small businesses to help them get more done.She also remembers her early career days and loves working with new project managers and those who want to make a career move into project management. Subscribe Today for Project Management and Leadership Tips and Updates! Project Bliss Copyright © 2019. Leigh Espy, Project Bliss - Helping you be more awesome at your job.